Stroud Homes Gold Coast North have a number of house and land packages available in Oxenford. Browse through the options below and contact us for more information. 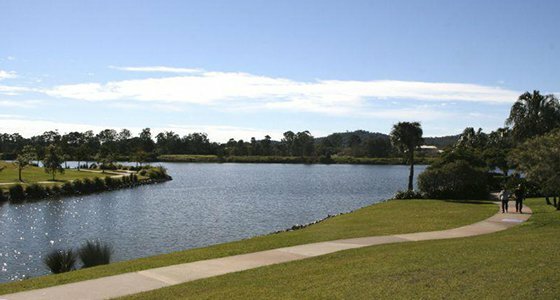 Oxenford is a beautiful family friendly suburb which boasts a “country village” feel with stunning views. Away from the hustle and bustle of the Gold Coast City yet still close to many iconic Gold Coast amenities and locations as well as easy access to the Pacific Motorway. Despite the country feel, Oxenford’s retail area has popular supermarkets plus other necessary shops such as a pharmacy, newsagents, butchers & post office as well as some speciality stores and cafes. Just up the road from the retail area is a commercial area with a diverse range of businesses from the vet surgery and pet shop to landscaping supplies, mechanics, pool shop and a variety of fast-food options…all of this within a few minutes drive! In case that isn’t enough, it is only a 10 minute drive to the enormous Helensvale Westfield or a 20 minutre drive to the factory outlets of Harbour Town. Oxenford is also only a 20 minute drive to get into the heart of Surfers Paradise and a 50 minute drive to Brisbane. You’ll live in close proximity to the popular Gold Coast theme parks yet also only a couple of minutes drive out to the more “rural” areas of the Gold Coast located out the back of Oxenford. Enquire today about purchasing your own unique piece of Oxenford with one of our very affordable house and land packages. Call us today on 1300 66 99 38 or send us an enquiry.